They are made from a rapidly renewable raw material, are 100% natural, unbreakable, reusable, antibacterial & even dishwasher-safe. Ideal for cold and hot drinks such as smoothies, ice cream, cocktails or long drinks. ‘Make a difference.’ Together we can make a difference by living more consciously and saying no to plastic. By using our sustainable bamboo straws, you definitely can make a difference in this world. 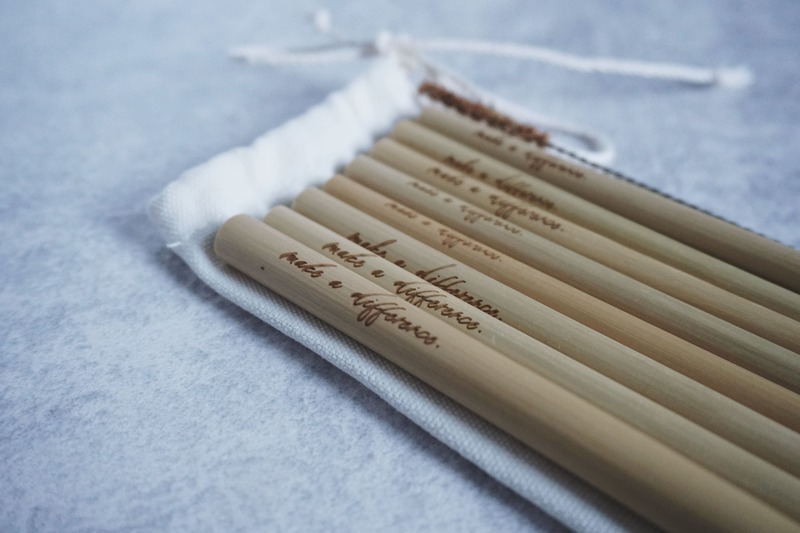 ENVIRONMENTALLY FRIENDLY – Bamboo is one of the most sustainable wood species due to its ability to grow extremely fast. Without pesticides and fertilizers. Low energy consumption during production in contrast to plastic, metal or glass straws. Reusable – Bamboo straws are reusable, long lasting and dishwasher-safe. Plastic straws, on the other hand, are thrown away after single use and pollute our environment and oceans. FOOD SAFETY – They are odorless, tasteless & antibacterial. 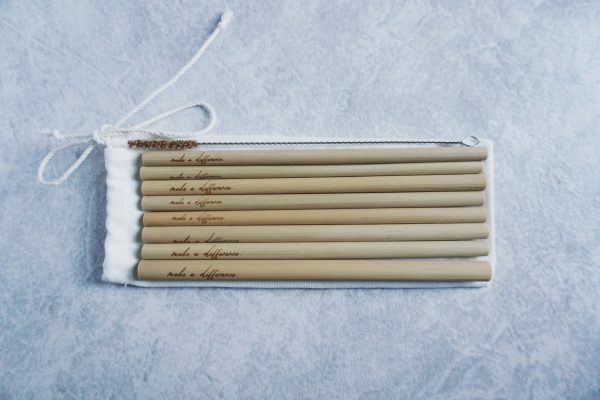 Perfect for cold drinks like smoothies, cocktails, long drinks, milk shakes as well as hot drinks like coffee, chai latte or tea. 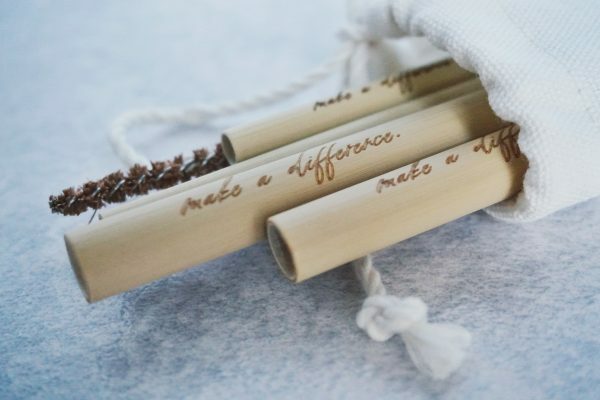 SUSTAINABLE – Our bamboo drinking straws are made from organic bamboo and are 100% biodegradable. HANDMADE – Natural product which is handmade with love and care. Can vary in color & size. 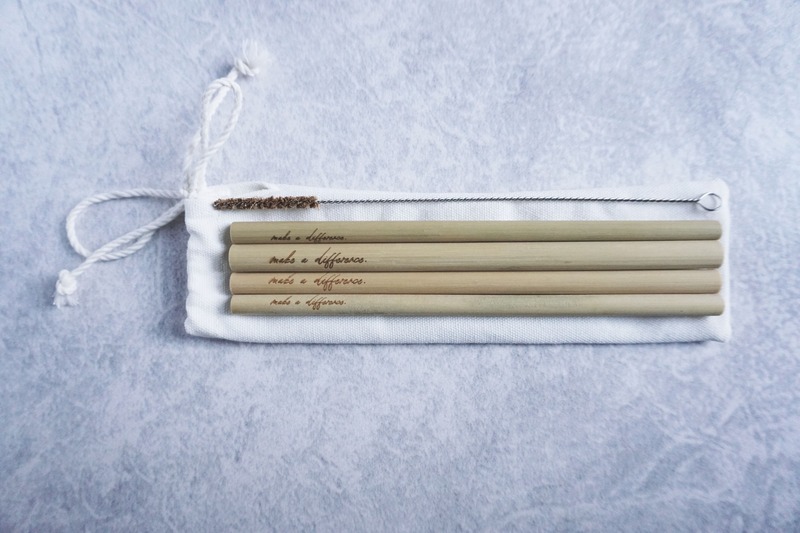 With the purchase of our bamboo straw set you get mixed sizes (diameters) so that you have no restrictions in the consumption of thin or thick liquids. 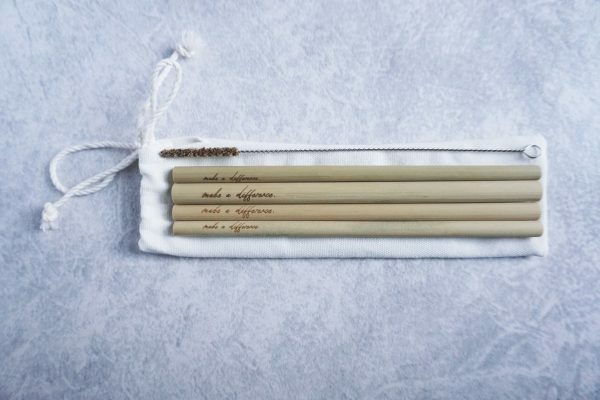 The set includes 4 or 8 straws made of 100% bamboo + cleaning brush made of coconut fibre and a matching cotton bag.